I read this book over my spring break. It was given to me by one of my friends/colleagues. I got so many lessons out of her novel so my fellow teaching friend gave me this one called Tiny Beautiful Things. I thought, “oh geez, a self help book!” Well, it’s not. But it kinda is. The best kind. It’s a “self help” book full of real human experiences, empathy, compassion and love. 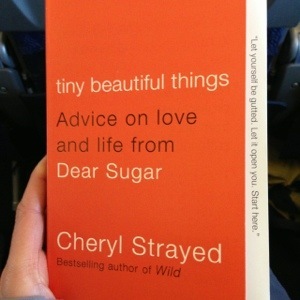 It’s an incredible compilation of Cheryl Strayed’s advice column called “Dear Sugar“. Awesome. Here are a few of the most meaningful quotes I took from the book. Enjoy! I read them daily and I am filled or reminded to be filled with compassion, kindness, empathy and love on a daily basis with my precious students, colleagues and other fellow human beings I encounter each day. 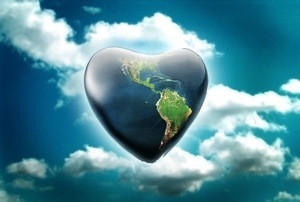 “It’s what most of us have to give a few times over the course of our lives: to love with a mindfully clear sense of purpose, even when it feels outrageous to do so. Even when you’d rather put on your steel-toed boots and scream-love. OH MY GOODNESS. THERE ARE SO MANY. I’LL POST THESE FOR NOW AND MORE ANOTHER DAY. What a great read. These help me every day as I focus on the little growing humans I interact with and even the “grown-ups” that I see daily.